Paul joined the Beaufort Group board as Non-Executive Director in 2018. 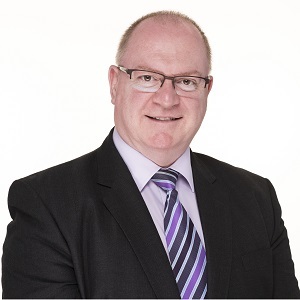 He brings over 30 years’ experience as a company director, a Governance, Risk and Compliance specialist and as a specialist in the financial planning and wealth management sector. He is the Chief Executive of Complyport Limited, a leading regulatory and compliance consulting firm with clients based in the UK and overseas. He is the Chair of the Brexit Working Group of the Association of Professional Compliance Consultants (APCC) and is a member of the Examination Board of the Chartered Institute for Securities and Investment (CISI). Paul is a Chartered Fellow of the CISI, a Chartered Wealth Manager, a Certified Financial Planner and a European Financial Planner. He has led several major investigations as a Skilled Person for regulators such as the Financial Conduct Authority (FCA) and is regularly instructed as an Expert Witness in litigation cases. A keen fan of football, rugby (both codes) and Gaelic football, Paul can be found playing the bagpipes in his spare time and performing and touring with the Fianna Phadraig Pipe Band in Manchester, (which is the oldest surviving Irish pipe band in Great Britain).